Are there Zumba classes nearby? After becoming a sort of blog guru about Zumba, sometimes I get messages from folks looking for local Zumba classes. There are thousands and thousands of Zumba instructors all over the world…so there may be a class near you! So today I’m answering one of my most common questions: “are there Zumba classes near me?” The likely answer is yes – Zumba reports that 14,000,000 people take Zumba classes in over 185 countries and 140,000 facilities worldwide. Type in your zip code or city name. I would start broad. For example, I live 30 minutes outside of a bigger city. I put the big city’s zip code in to find more options. I would be ok taking a class in the city, not just in the little town I live in. Depending on your location, you will find some options. For this example, I searched Little Rock, AR and got 100 results. To narrow it down even more, you can search by class type. Zumba: A dance fitness class featuring music from around the world. Zumba Step: A Zumba class incorporating a step for leg toning. Zumba Toning: A Zumba class that uses toning sticks or light weights for resistance and toning. Aqua Zumba: A Zumba class in the pool! Zumba Sentao: A Zumba class that uses a chair to add toning moves. Zumba Gold: An easy to follow low-impact Zumba class for beginners, deconditioned, or active older adults. Zumba Gold Toning: Combines the low impact Zumba Gold with toning sticks for sculpting. Zumba Kids: A dance fitness class for ages 7-11. Zumba Kids Jr.: A dance fitness class for ages 4-6. Zumbini: Classes for 0-3 year olds to wiggle, sing and learn with a parent or caregiver. Zumba in the Circuit: Combines Zumba and strength training in a circuit format. You can also narrow it down by day of the week or time of day. Now, please note this: this is NOT a perfect tool. 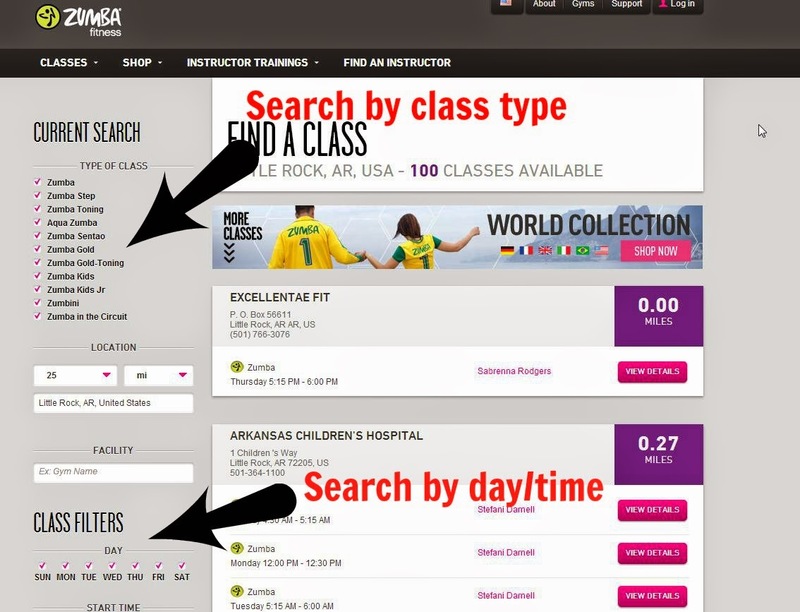 Instructors are responsible for reporting their schedules to Zumba.com, so PLEASE before you go to a class for the first time, check with the instructor or facility to double check the details are correct. And, if you search your area and there are no Zumba classes near you, I would recommend doing an instructor search as well. 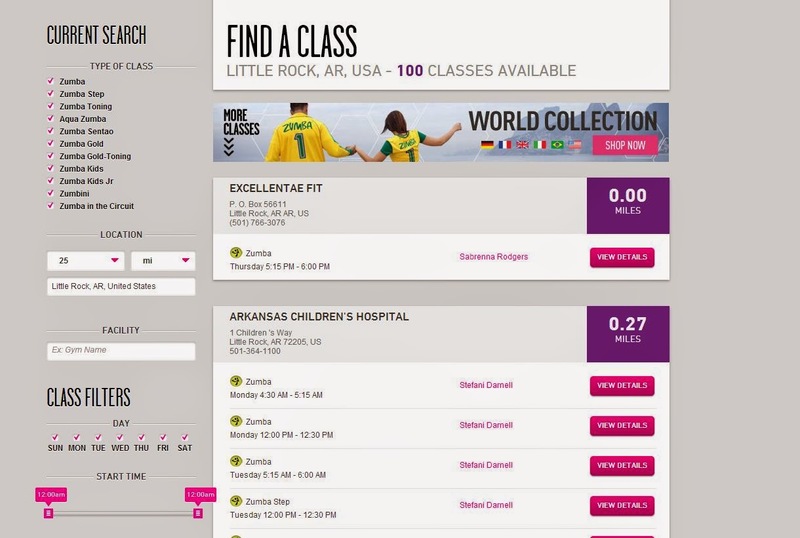 This will show you instructors in your area that you can contact. It’s possible they are teaching, but just haven’t reported their class schedule to Zumba. To do an instructor search, click “Find an Instructor” and put in your area. I would also increase the distance from the default 5 miles to 25/50. Then, you can click “View Profile” or view their personal websites to contact them for more information. They should all either have contact forms or list an email of some sort. I hope that helps you find a nearby Zumba class! Let me know if you need any help finding a Zumba class near you! Hey Brittney! I love your Zumba posts. I have a question for you – I’m thinking about getting certified as a Zumba instructor this summer and am wondering if there are costs beyond the training itself. Do you need additional certifications or insurance in order to teach?